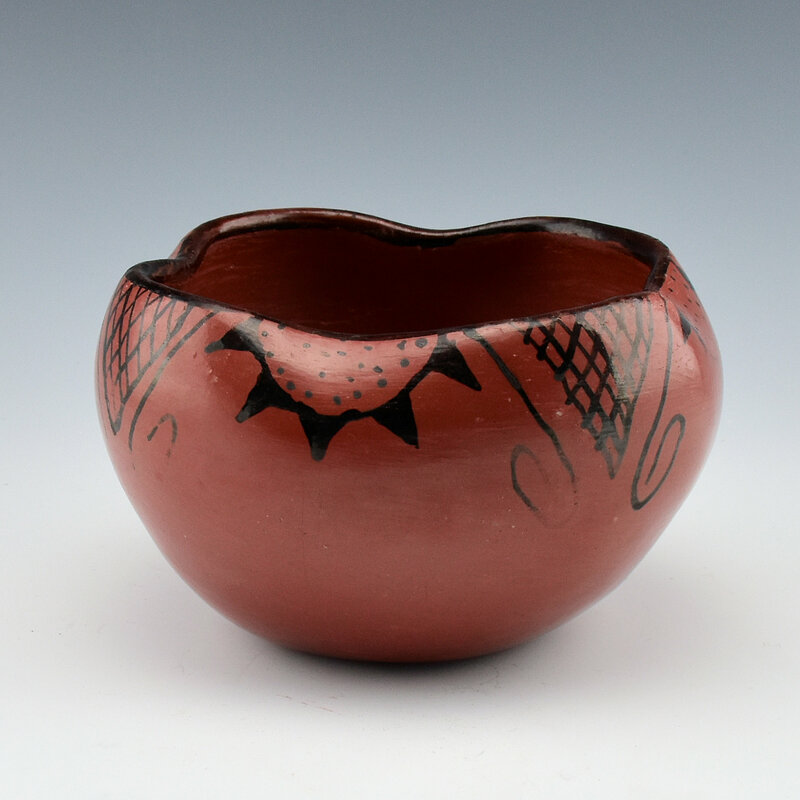 Ida Redbird is one of the best known of the potters involved in the revival of Maricopa pottery from 1937-40. She was featured in Arizona Highways in 1948. Her pottery is made using a paddle-and-anvil technique and they are twice fired. 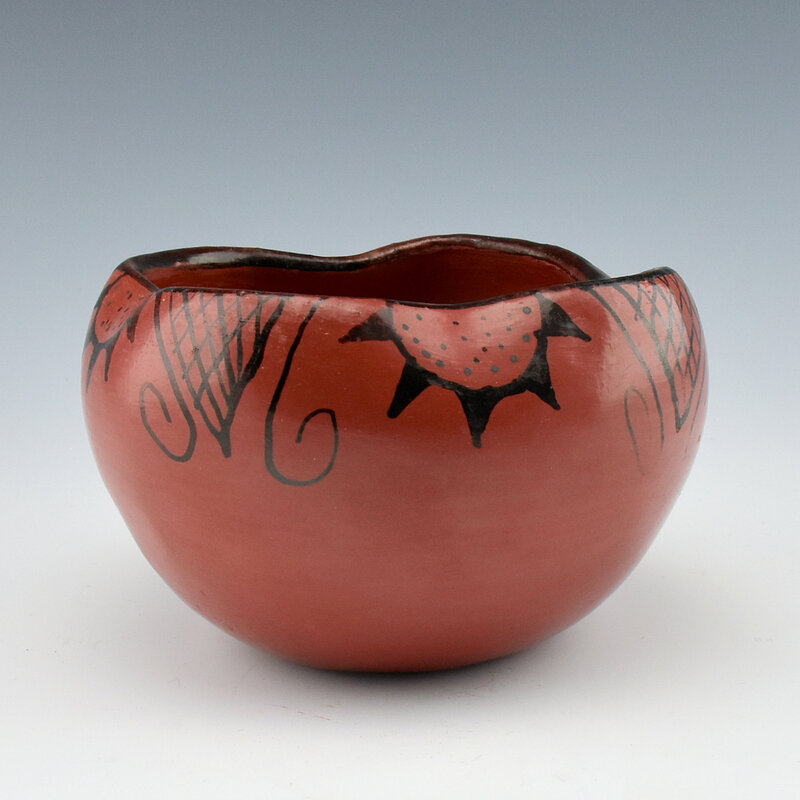 The black designs are derived from a mixture of mesquite sap and cactus spines. 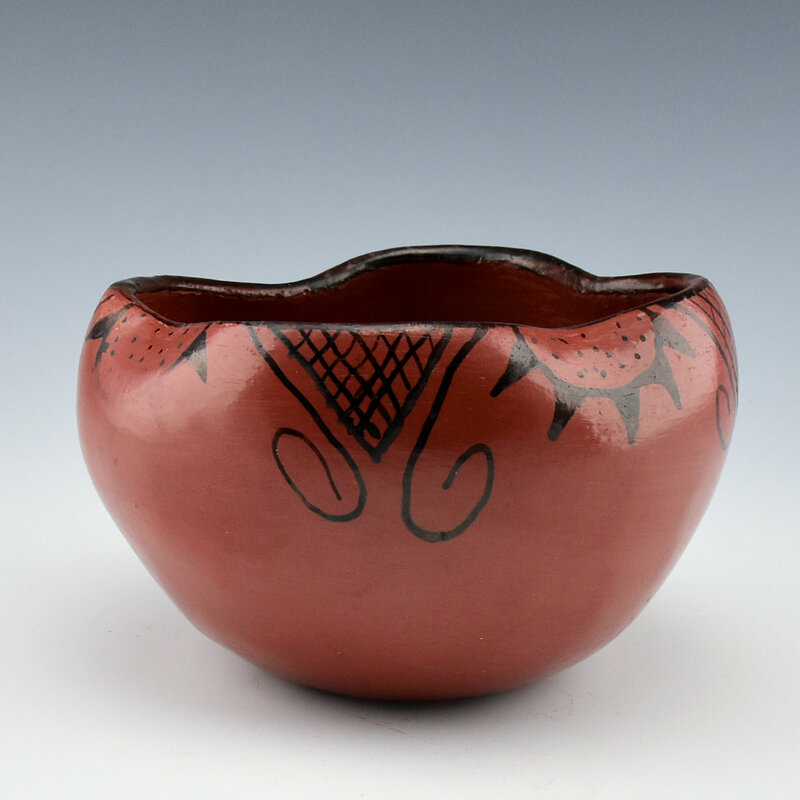 This bowl has indented sides to create an undulating appearance. There is a sun and cloud design on each of the four sides. It is in good condition with no chips, cracks, restoration or repair. It is signed, “Ida Redbird” on the bottom.